Brass Knuckles: Successfully complete the game on the Nightmare or higher difficulty. Classic mode: Successfully complete the game on any difficulty. Classic costume: Find all three anima encounters and successfully complete the game on any difficulty. Drifter costume: Successfully complete the game on the Survival or higher difficulty. Infinite ammo: Successfully complete Classic mode. Letterbox mode: Successfully complete the game on any difficulty. Magnum: Successfully complete the game on the Survival or higher difficulty. Professional costume: Successfully complete the game on the Survival or higher difficulty. Successfully complete the game on any difficulty to unlock New Game Plus mode. In this mode, the amount of Green Gel and weapon parts are increased. 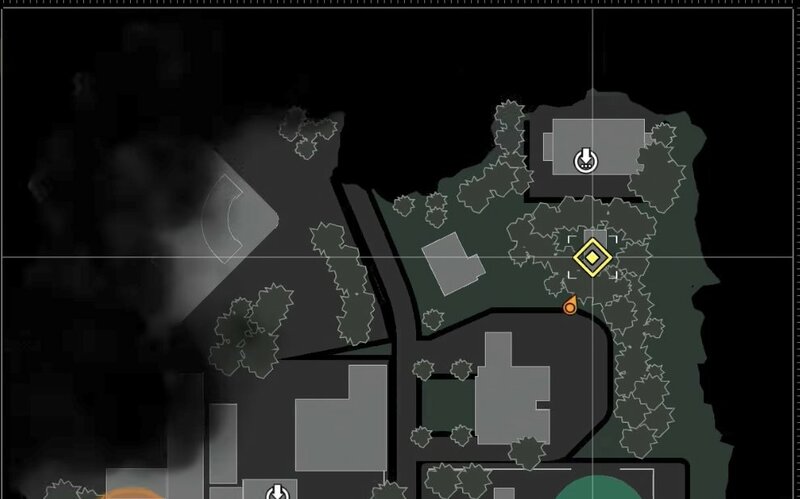 Step 1 (Chapter 7): Go to the parking lot in the center of the map and save the man (Sykes) there. Then, talk to Sykes in his safe house afterwards to get a new side mission. Step 2 (Chapter 7): Complete the "Getting Back Online" side mission given to you by Sykes. You must backtrack to the safe house in the north and use the computer there to get back to The Marrow (area from the previous chapter). It will mark the side mission waypoints on your map. Simply follow them and activate the PC terminal, then return to the man in his safe house. Make sure to fully complete the "Getting Back Online" side mission by talking to Sykes after completing the mission. This also unlocks the Silenced Handgun. Step 3 (Chapter 13): Keep playing until you reach Chapter 13. If you did the "Getting Back Online" side mission, you will automatically get a new side mission called "The Last Step" during Chapter 13. This is only available if you have completed that side mission. Step 4 (Chapter 13): Follow the waypoints and complete "The Last Step" side mission. At the end you will see Sykes getting in an escape pod and the room fills up with smoke. You will then complete the mission and get the "Sykes Out" trophy. Step into the room after the smoke has cleared and look for the Double-Barreled Shotgun in a box in the corner of the room. After defeating the Flamethrower boss in Chapter 11, collect the broken Flamethrower next to the corpse of the boss. In Chapter 13, you must find two fuel tanks to repair it. You can collect the tanks from Harbinger enemies that are roaming around Chapter 13. There are three of them in the Business District (you go there for a main objective). Sneak attacks inflict a lot of damage to them. You can run away after a successful sneak attack and repeat. This way you do not have to waste ammo on them. Sniper headshots and close range shotgun hits also work well. Just loot two Harbingers that you have killed to get their fuel tanks. Then, go to the safehouse and enter the mirror. At the workbench, combine the fuel tanks with the broken Flamethrower to repair it. The Full Barreled Shotgun is found in the storage shed just a few meters south of the "Post Plus" safehouse, the following location. That is the safe house in the very north of Chapters 7 and 13. After leaving the safe house, walk in a straight line for 10 meters to run into the storage shed, which is locked. The key is found on the corpse of a soldier in the south of the map, at the following location. Get the key and return to the shed. Inside you will find the special Full-Barreled Shotgun. It has better range than the other shotguns, which makes it good for medium distances. You can get this weapon in Chapter 7. It is also still possible in Chapter 13 when you return to the same area as before. The Laser-Sighted Handgun can be found at the following location, from a corpse in a parking lot in the northwest corner of Chapter 3. There is a building with a "Auto Repair Shop" neon sign. Go around the back of that building to find a gate you can break open. Then, climb the blue box to jump over the fence to the parking lot. In the parking lot is a corpse by a car. Investigate it to get the Laser-Sighted Handgun. 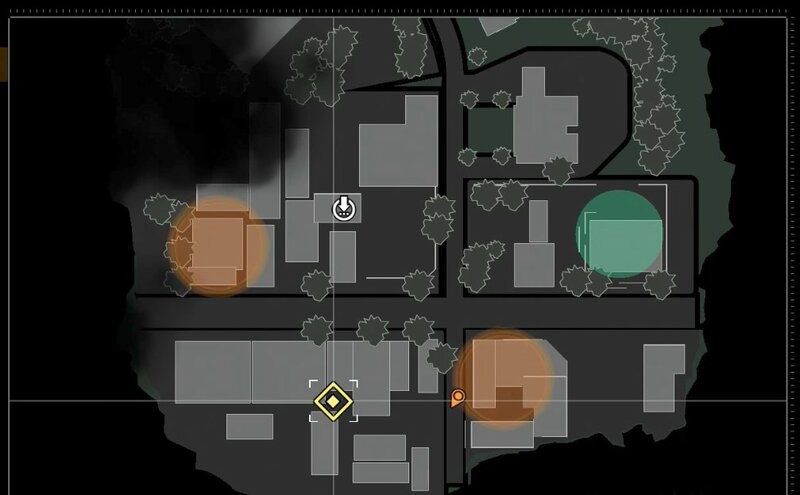 To find the Sawed-Off Shotgun in Chapter 3, enter the second building (location) from the bottom on the right side of the map (you go there automatically during the second waypoint of the "Rogue Signal" side mission). There is a hatch in a backroom that can be opened. Open it and climb down to find a computer. Interact with it to reach the Armory. At the end of the Armory is the Sawed-Off Shotgun with some ammunition. There is also a locker key in the elevator on your way back (where two enemies come from). Successfully complete the "Out In The Open" and "Getting Back Online" side missions in Chapter 7 to unlock the Silenced Handgun. Both side missions are for a man named Sykes. You find him fending off zombies in a parking lot, around the center of the map. You can enter the parking lot through the gate in the south. Kill all the zombies and rescue Sykes. Then, talk to him in his safe house to complete the "Out In The Open" side mission. He will then give you the "Getting Back Online" side mission, which requires you to backtrack a little bit and use the computer in the northern safehouse. You then get teleported back to The Marrow where you must access a terminal. Run back to Sykes and he will unlock a big orange box in his safe house, which contains the Silenced Handgun. Exit the safe house where Chapter 3 begins, and look for the tallest building on the left side (just across the street). On the rooftop of the tall building is the broken sniper rifle. Use the stairs and ladder on the side of the building to get up there. To repair the broken sniper rifle, you must find sniper rifle parts. These are located in the tool shed at the north-western end of the map. Go inside the shed and look for the sniper rifle parts on the workbench. Then, use the workbench to repair the sniper rifle with the parts you have found. You can now select it in the weapon wheel. The Warden Cross can be found at the following location, near an APC in the southwest corner of the Chapter 3/Chapter 4 open world (just to the left of the safehouse where the chapter begins). It is used to gain access to the safe house in the north of the map. Search the indicated locations to find all 32 Locker Keys. All collectibles are missable. If you progress too far, you cannot go back and collect them. The Locker Keys allow you to open lockers in Sebastian's room (after going through the mirror and sitting in the chair). The lockers contain useful rewards such as ammo and a lot of green gel. Finding all locker keys is really useful on higher difficulties to build up your ammo reserves. Two of the keys are rewards from the shooting gallery (#9 and #10 in the video). The earliest you can get them is at the start of Chapter 4. Open all 32 lockers to get the "Locksmith" trophy. This side mission is given to you by O'Neal in the safehouse at the start of Chapter 3. Choose the "Supplies?" dialogue option when talking to him to get the mission. The mission markers will be placed on the map. Track down radio signals around the map and investigate them, then return to O'Neal to turn in the side mission and get the "Backup Ain't Coming" trophy. In Chapter 9, there are some lamps hanging from the ceiling. Shoot one of them when two enemies are standing below it to burn them and get the "Death From Above" trophy. This can be done against the first two enemies you encounter in this chapter, after getting the crank. The Warden Cross can be found at the following location, near an APC in the southwest corner of the Chapter 3/Chapter 4 open world (just to the left of the safehouse where the chapter begins). You automatically grab a shock bolt with the crossbow. After grabbing it, there will be a short cutscene with the area being flooded and two enemies running into the water. Shoot a shock bolt in the water to get the "Shock Therapy" trophy. Step 1 (Chapter 11): After defeating the Flamethrower boss, collect the broken Flamethrower next to the corpse of the boss. Step 2 (Chapter 13): You must find two fuel tanks to repair it. You can collect the tanks from Harbinger enemies that are roaming around Chapter 13. There are three of them in the Business District (you go there for a main objective). Sneak attacks inflict a lot of damage to them. You can run away after a successful sneak attack and repeat. This way you do not have to waste ammo on them. Sniper headshots and close range shotgun hits also work well. Just loot two Harbingers that you have killed to get their fuel tanks. Step 3 (Chapter 13): Go to the safehouse and enter the mirror. At the workbench, combine the fuel tanks with the broken Flamethrower to repair it. Step 4 (Chapter 14): Keep playing until you reach Chapter 14. You will encounter the Laura boss from the first game. Kill her with the Flamethrower. Make sure you have full Flamethrower ammo (80 Flamethrower fuel will kill her). Just north of the safehouse where Chapter 3 begins, you can find a trucking yard with a lot of enemies. In the back corner of the trucking yard is some oil on the ground. Lure the enemies there and shoot the oil to get the "Kick, Shoot, Burn" trophy. You can climb on the box near the oil to avoid getting burned, as the enemies cannot hit you there. In Chapter 12, you will return to your house in the past. There will be a cutscene with you waking up in the bedroom upstairs. This is after escaping the burning hellish area. Around the house are three objects you can interact with (it shows a button prompt on them). There are two upstairs (one by the stairs, one in the room to the left of the stairs) and one downstairs (cupboard in the living room). Interact with all three objects to get the "Melancholy Memories" trophy. Note: Do not interact with the letter on the kitchen table until you get the trophy, as doing so will advance the story. At the end of Chapter 11, there is a boss fight against a flamethrower enemy. Shoot the tank on his back until it explodes so he can no longer use the flamethrower. At the start of Chapter 5, you will encounter a saw-wielding monster boss (the one that chased you earlier in Chapter 2). To get the "Sometimes Fighting Isn't The Answer" trophy, you cannot fight the boss. Instead, run around the building on the left side. Shoot the explosive barrels along the way to clear the path and avoid the tripwires. There is a door around the building. Enter there to completely skip the boss fight and get the trophy after entering the door. After completing the story for the first time (any difficulty), you unlock Letterbox mode in the game options ("HUD Display Settings" - "General" - "Letterbox" - "SHOW". Enable Letterbox mode and start a new game to get the "That Cinematic Feel..." trophy. First, you need the "Ambush" stealth skill. You can buy skills by going to the mirror area and sitting in the chair (mirrors are found at every safehouse). Then, lean at a corner (press R1) and when an enemy approaches, perform a corner takedown by pressing X to get the "Wait For It..." trophy. This can be done anywhere in the game. You can lure enemies to you by popping out of cover for a moment and letting them investigate the area. However, be careful they do not become fully aware of you, as the corner takedown only works while you are in stealth. Learn to Survive (Platinum): Survived the nightmare, and everything in between. Against All Odds (Silver): Completed the game on Nightmare difficulty or higher. All in the Family (Silver): Collected all of the Mysterious Objects. Diligent Reader (Silver): Collected all files. Echoes Within STEM (Silver): Observed all Residual Memories. Finally Free (Silver): Experienced every traumatic encounter and made peace with your inner demons. Locksmith (Silver): Opened all lockers. Powerhouse (Silver): Acquired all standard weapons. Stick it in My Veins (Silver): Completely upgraded all abilities. Sykes Out (Silver): Completed the "The Last Step" side mission. They Never Even Stood A Chance (Silver): Completely upgraded all weapons. A Little Extra Kick to it (Bronze): Upgraded one of your Warden Crossbow bolts to max level. Backup Ain't Coming (Bronze): Completed the "Rogue Signal" side mission. Bootable Offense (Bronze): Stomped and killed 15 fallen enemies. Caffeine Addict (Bronze): Used every Coffee Maker at least once. Chatting With Kidman (Bronze): Talked to Kidman about all of the photographic slides. Clearing a Path (Bronze): Killed 60 enemies. DIY (Bronze): Crafted something for the first time. Doing Some Detecting (Bronze): Collected 20 files. Good to See You Again (Bronze): Acquired the Warden Crossbow. Half the Stash (Bronze): Opened 16 lockers. Handyman (Bronze): Crafted every type of item at least once. I Am The Night (Bronze): Killed 10 enemies using Sneak Kills. Kick, Shoot, Burn (Bronze): Killed 2 or more enemies at once using oil on the ground. Making Things a Little Easier (Bronze): Used your first High-Grade Weapon Parts. Now You're Playing with Power (Bronze): Upgraded a weapon to Level 3. Rookie (Bronze): Completed the game on Casual difficulty or higher. Shock Therapy (Bronze): Stunned an enemy standing in water using a Shock Bolt. Smoke Assassin (Bronze): Killed 3 enemies using upgraded Smoke Bolts. Survivor (Bronze): Completed the game on Survival difficulty or higher. Thinning Them Out (Bronze): Killed 30 enemies. Wait For It... (Bronze): Killed an enemy using an Ambush. You Got Red in You (Bronze): Used your first Red Gel. You Asked For It... Again (Gold): Completed the game in Classic Mode. Welcome to Union (Bronze): Took the plunge back into STEM. Taken (Bronze): Saw a chilling vision. Not Running This Time (Bronze): Defeated the Guardian outside City Hall. The Team Psychologist (Bronze): Found a potential ally in The Marrow. Premature Finale (Bronze): Shut down a bloody performance. Another Ally (Bronze): Survived an ordeal with the help of a new friend. Crossing to the Other Side (Bronze): Provided a Harbinger sweet release. Spiritual Awakening (Bronze): Came to terms with your past and present. Fire Walk With Me (Bronze): Made it inside the enemy's stronghold. Overcome the Past (Bronze): Your trauma is no more. Everything Comes Crumbling Down (Bronze): Reached the very end of the world. Unfortunate Consequence (Gold): Did what needed to be done to save your daughter. That Cinematic Feel... (Bronze): Opted for a cinematic experience.